Tablets worth buying come in two flavours - mobile-first and desktop-first. The iPad is the undisputed king of the mobile-first tablet, but it falls short when it comes to productivity. Apple is getting there with the iPad Pro (and the rumoured October 30th product refesh will take it even closer), but iOS really is a mobile-first experience that simply can't replace a PC quite yet. On the other side of the spectrum is the Microsoft Surface, which is king of the desktop-first tablet. Lessons learned from Windows 8 has made Windows 10 very touch-friendly - but the device still lacks the simplicity and the app selection of a mobile-first experience. The Pixel Slate is a compelling product because it finds the gap between the two kings and spreads out fairly far into both directions. Chrome OS was originally just the Chrome browser and all of the plugins and extensions that come along with it. Chromebooks (and also Chromeboxes and Chromebases) work well for the education market because the devices are cheap, all of the data on them lives in the cloud, they are easy to manage, and kids can't download sketchy software onto them. This also makes them a great choice for people who want a want a desktop-first computer to surf the internet and keep in touch with loved ones - but don't need all of the complexity that comes along with Windows or MacOS. The addition of Android apps to the mix was a huge leap forward in terms of capability, bringing the platform roughly in line with what the iPad can do. The much more recent addition of Linux apps to the platform brought the ability to run complex programs just like the Surface can do. Computers and laptops with desktop operating systems for consumers are not a growth market. Microsft has seen the writing on the wall and has pivoted pretty elegantly towards software-as-a-service, "we don't care what device you're using" company. At the same time, Apple has really slowed the pace at which they improve their consumer Macs to the point where many tech journalists are questioning if the product line even has a future. When you step back and look at the big picture, it's pretty clear that the future of computing for the average consumer is going to resemble something that rises from where the iPad and the Surface would intersect - something that does away with the complexity of Windows, but can still run software that is much more complex than what iOS can handle. It's going to be a touch-friendly or even touch-first device, but it will have to support a mouse and keyboard as well. 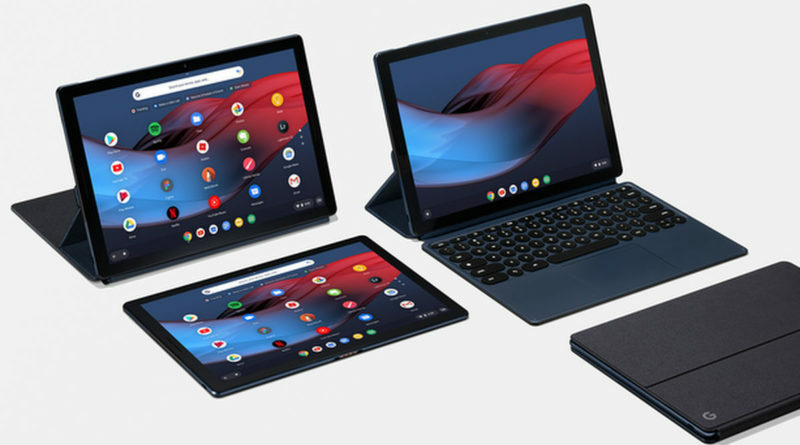 With the Pixel Slate, Google is trying to get to the future of computing and is bringing something to the table that Apple and Microsoft haven't been able to do thus far. How well the device sells has yet to be seen, but comparing it to iPad or Surface sales misses the point. This device moves the needle on innovation, and that is why I believe that the Chrome OS tablet is the most important product announced last week - possibly all year.